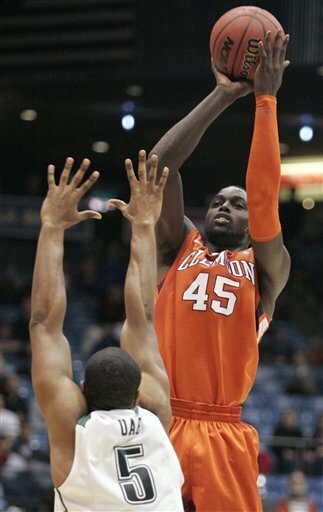 Jerai Grant and the Clemson Tigers looked like they belonged in the 2011 NCAA Tournament. The Alabama-Birmingham Blazers? Not so much. The Tigers took control at the onset of the second game of the tournament and won going away 70-52. Grant led all scorers with 22 points. The Tigers now head on from the First Four in Dayton to face the West Virginia Mountaineers, the fifth seed in the East region, Thursday at noon on CBS (click here for a full 1st and 2nd round TV schedule). And this Clemson squad looked like a team that could definitely scare WVU. Jim Nantz, Clark Kellogg, and Steve Kerr have the game recaps of the Tuesday First Four games in Dayton.